Tree-ring researchers are used to rough conditions — but they’re not survivalists. Fortunately, Nicole Davi had already taken shooting lessons when she found herself stuck without provisions in the heart of the largest national park in the United States: Alaska’s Wrangell-St. Elias. 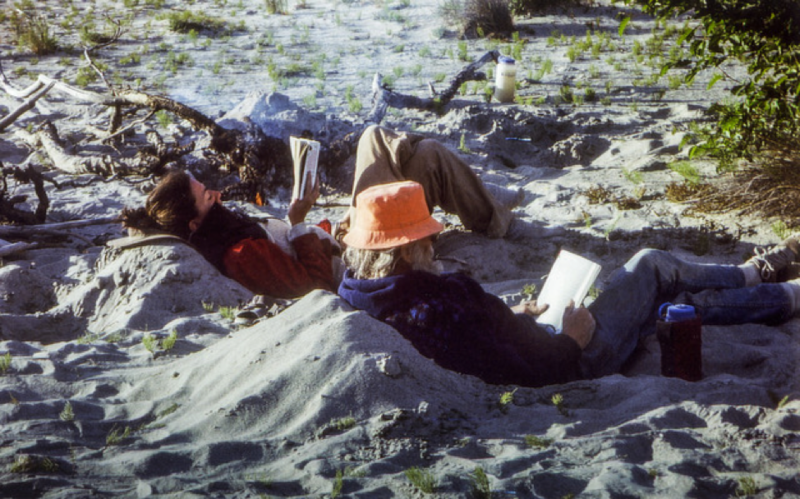 The researchers spent three days in the wilderness, extracting foot-and-a-half-long, pencil-thin rods from trees and living on peanuts, grouse and rabbits — an experience that taught Davi that the thrills of fieldwork come at a cost. Ever since then, she says, she’s never traveled without a satellite phone. That safety-first mindset serves Davi well today. Every few years, after the environmental science classes she teaches at New Jersey’s William Paterson University wrap up each spring, the 46-year-old geographer and paleoclimatologist spends the summer in Mongolia, where she aims to read more than a millennium’s worth of climate history from wizened trees. 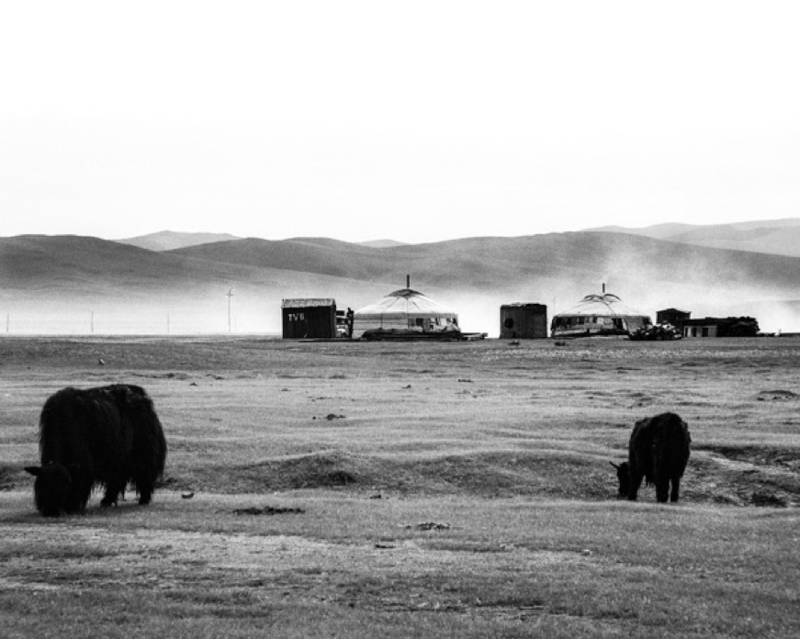 Her data provides long-term context that grows more important by the year as climate change dries out Mongolia, wreaking havoc on livestock and the herders they support. In a digital world flush with cheap data, reading tree rings remains an analog undertaking. Davi has cored trees in Thailand, Peru, Ukraine and Bulgaria, but Mongolia has held her attention since 2001. She often spends a month at a time in the field and each day has a rhythm, she says. The Mongolian steppes don’t conjure up images of virgin forests, but the country has provided an unexpected treasure trove for tree-ring scientists (or dendrochronologists, as they’re called). Where the grasslands give way to stands of trees, many have never been logged. Davi says she’s found living trees that have been putting on rings since the black plague rocked Europe 700 years ago. With a mysterious climate history, the land-locked country is also a good target to fill in missing gaps. Weather records start up only after World War II and remain spotty. Unlike other places where well-studied phenomena such as El Niño dominate, Mongolia’s climate reflects a mishmash of atmospheric currents so complex most textbooks skip it entirely, Davi says. Only by using tree-ring data to reconstruct lost temperature and rainfall timelines can researchers understand current changes, according to Mukund Rao, Davi’s collaborator and a doctoral student at Columbia University’s Tree Ring Lab. “If you want to say [a certain year] is drier or wetter than in the past, we need to know what the past was,” Rao says. They’re particularly concerned about the deadly “dzud” (silent d, rhymes with hood), the Mongolian word for a dry summer followed by a cold winter. Dzud events in 1999 and 2009 killed double-digit percentages of the country’s livestock — devastating blows for a nation where one of three people herd sheep, cattle and goats. Rao says summers are getting hotter and winters more variable (some extra-mild but others extra-cold), which means that frequent dzuds may be something to which herders will have to adapt. Since 2014, a national insurance program has helped participants recoup the cost of lost animals in bad years, and the records in the tree rings could help insurers better assess risk. “They might be just looking at 40 years, but we can show them 500 years of information,” Davi says. Participating in that effort suits her, but Davi says she got into the tree-ring world “randomly,” when a love of ecology spurred her to apply for a short-term job as a technician at the Tree Ring Lab. “I really didn’t know what I was getting into,” she says. “She answered a job advertisement,” explains Tree Ring Lab principal investigator Rosanne D’Ariggo. “We just thought she was so great, so outgoing, so positive, and she’s been here ever since.” It’s now been more than 20 years. With an athletic build and the rosy cheeks of someone who spends a lot of time exposed to the sun and wind, Davi certainly fits the field researcher mold. She’s the first to admit that the work takes a certain rugged and simple personality. “I can eat canned fish every day for forever,” she says. But the fieldwork life has also forced her to compromise. When Davi brought her then 18-month-old son to Mongolia, collaborators had assured her a smooth trip, but a new highway they’d planned on taking turned out to be so new it wasn’t open. By the end of the arduous trip around the world, her son had come down with a high fever. Fortunately, Davi had a satellite phone this time, allowing her to speak with doctors in the capital, but the experience changed her view of fieldwork and family. One of the first stories I ever wrote for Scholastic’s Science World magazine (while I was still a SERPie) was about tree rings and climate, so I had to read this one. Love the lede and story about the mixup of samples and supplies!